What an opportunity we on the SMNE team had during a recent visit to the Somali region where we were able to see so much evidence of reforms brought by the new president, Mustafa Omer, and his administration. Everywhere we went, people told us about the new leadership that is bringing genuine reforms. Over all, the SMNE team trip to the Somali region was a real success. 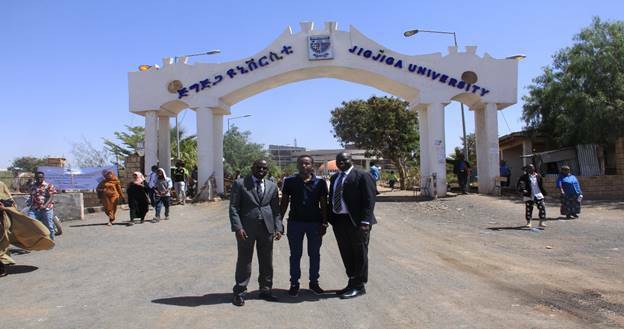 The initial reason for the trip was an invitation from Jijiga University to speak to their students and faculty on the topic of: The Way Forward: Identifying, Affirming and Building National Unity Based on Shared Core Values, which includes human dignity, human rights, equality, inclusiveness, justice, the rule of law, and participatory democracy. 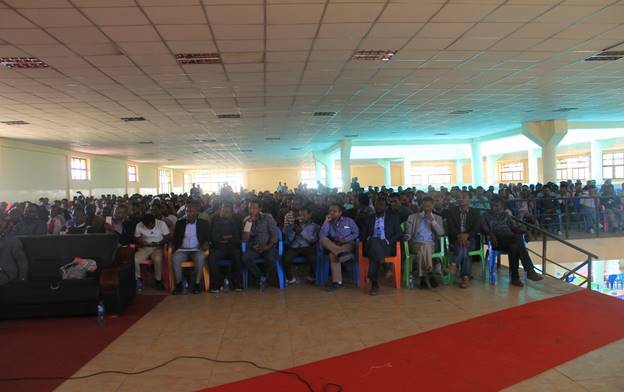 A primary goal of the talk was to remind the students about the need to work together in order to achieve these goals, especially as we have seen some Ethiopian schools and universities become battlegrounds of ethnic violence among the students. Differing ideas, problems and conflicts should be respectfully discussed, debated, mediated or negotiated if we are to prepare our youth as the future leaders of tomorrow. These students are all the children of Ethiopia who will be assuming responsibility for the future of the country. The challenge has been and would likely continue to be to not allow ethnicity or other differences to be manipulated and exploited by those political and other leaders who want to sabotage the progress we have seen and undermine the efforts of the new president by inciting conflict among them. 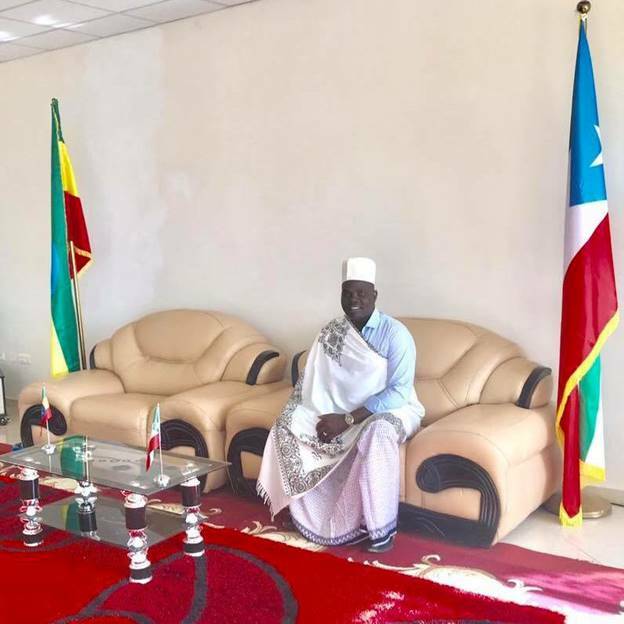 A second goal was to meet with the President of the Somali region Mr. Mustafa to learn more about this man who had brought so many positive changes to the region in such a short time. I wanted to thank and commend my good friend Mustafa Omer, for the many excellent initiatives he has helped bring about since he took over leadership five months ago. Before he was elected, there were almost no functioning institutions in Somali region. Since then, through his strong visionary leadership, he has literally rebuilt key institutions, making the region one of the most stable after previously being known as a hotbed of conflict and violence. When such success is achieved, it is always important to explore how these accomplishments at the local or regional levels might be duplicated in other localities and regions. Furthermore, some of these examples may provide ways to give momentum to advancing reconciliation, meaningful reforms and restorative justice on a national level. The third goal was to meet with Somali elders, like we have done in other regions we have visited. 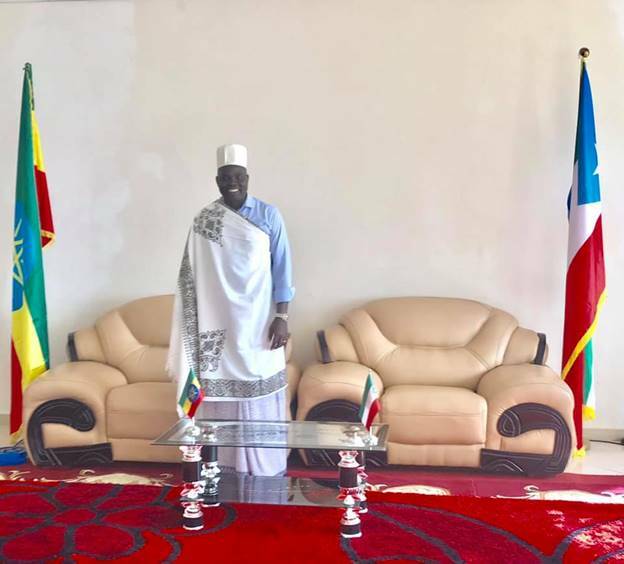 We talked to them about how they might utilize they wisdom, cultural experience in resolving conflicts and esteemed positions in the community to play a bigger role in bringing sustainable peace, justice and other reforms. Lastly, we wanted to visit the sites of past injustice, like the well known Ogaden Regional Jail, a place where many of those Ethiopians who stood up for truth, freedom and justice were imprisoned, tortured or killed during the Former president of Ethiopia's Somali region, Abdi Mohamoud Omar (Abdi Illey) military excursion into the Ogaden from 2005-2018, previously called the silent Darlur. Even more recently, Christian churches were burned down by extremists promoted under the former president, Abdi Illey. We planned to visit the neighborhood where 58 people were killed, 266 injured, ten women were raped and three churches burned down in just three day on the weekend of August 4, 2018 and talk to those church sites and talk to survivors. The churches are now being rebuilt, thanks to money raised, some from the Muslim community, and now both faith communities are working together on this. As was mentioned, we had a very meaningful and productive discussion with President Mustafa. We had a meeting of minds. He told us he was well aware of our work and that he had a great appreciation and respect for what we have done over the years, especially struggling for the rights of all Ethiopians, including the Somali region. He strongly supports and has implemented the core values of the SMNE. He urged us to work together with him to advance these values, believing the only way forward was to value the freedom and rights of all citizens, closely quoting the SMNE principle that no one ethnic group will be free until all ethnic groups are free. He said the country belongs to all of us and that working together is the only way for the survival of our country. He spoke with concern regarding problems in the region; in particular, the division within his party. He explained that changes being made are not welcomed by some who do not like what he is doing and want to take the region back to where it was a year ago— a time of killing, violence and destruction. Some of those now opposed to the reforms were power holders in the past and see these reforms as a threat to their control. He stressed that his team was working hard to resolve this problem peacefully. He also urged us and others to stand with him in support of these reforms. We really appreciated his straightforward message and his commitment to these goals in the midst of the resistance of a few hardliners. 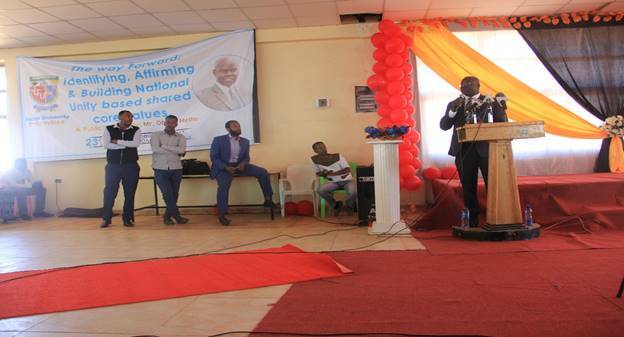 A real highlight of the trip was speaking to Jijiga University students, telling them they needed to work with each other and the current leadership team under President Mustafa if they were to be successful in bringing sustainable reforms that would benefit them all. Our Prime Minister Abiy Ahmed is the best thing that has happened to the country for as long as I can remember. He came into office already holding to an inclusive vision for all of Ethiopia. Soon after that came our brother Mustafa someone who holds to similar values as Abiy. He has become the best thing I can remember happening in the Somali region. These two men give light back to our beloved country of Ethiopia. Anti-reform people are working hard to switch off the light, worried that the greater light will expose them and their wrongdoing. All of us have to be vigilant to protect and preserve this light. If the lights are switched off in Jijiga, we should consider the lights switched off in all other regions. If the lights are switched off in Addis Ababa in resistance to Abiy’s efforts; it is like the lights were switched off in the whole nation. The same light that is now shining more brightly in Somali region, is also only shining in Oromia and Amhara; however, it must be turned on in other regions as well. A place like Tigray, Gambella, Afar, Benishangul-Gumuz, Harare, Dire Dawa and the Southern Nations need genuine reformers, not people who are part of the system where they are secretly working to undermine the change. Most of these places only superficially changed since the insiders still remain as power holders and this is the reason these regions are still experiencing violence, conflict and displacement. Real reform can only thrive where there are genuine reformers like Mustafa and other leaders endorsed and respected by their people. We cannot go back to the former darkness of the TPLF. The country needs more light, not less light; more unity, not division; more love, not hatred; more truth, not deception; more harmony, not violence; more reconciliation, not revenge; and more justice, not vigilante justice or mob rule. A more peaceful, just, democratic and honorable Ethiopia begins right here and all of us should stand together to support our Prime Minister Abiy, our Brother Mustafa and leaders like them who have integrity, share these core values and genuinely care about other people. Ethiopia needs national leaders, not tribal or village leaders who undermine the lives and rights of others because of self-interest, ambition and greed. You, Jijiga University students should strive for these kind of leaders for a better future. It is in your hands. What Dr. Abiy and Mustafa started, it is up to you work together with him so as to go forward with it. After the talk to the students, we met with other stakeholders. The entire mission was very successful and ended with a surprise. I was given the honorary gift of becoming an official ordinary Somali, with my own traditional clothing. We on the SMNE team are humbled and thankful for this love, respect and relationship we now have together with the people of the Somali region. I hope and believe we can continue to work together and that this kind of relationship can multiply and bring blessing beyond imagination to the entire nation.